The last Friday was a big day for Samsung in the Netherlands as it opened its first Samsung Experience Store in the country. More importantly, the store’s grand opening was the first chance for the press to play with the Galaxy Fold. 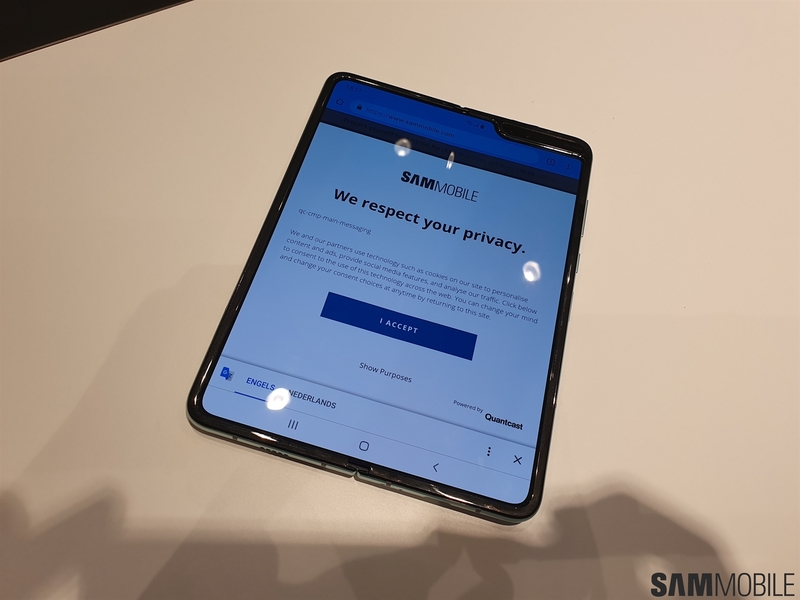 Samsung held its usual presentation telling us everything that we already know about its foldable smartphone before letting anyone actually touch the device, and I was able to use one of the four demo Folds for about 10 minutes before I had to pass it on to someone else and before they opened the shop to the public. My hands-on time with the Fold was short, but I came away impressed at the end of it. And that’s despite Samsung telling us that the demo units were all pre-production models running pre-production software and that the final product would be better. First, let’s talk about the design. The Galaxy Fold is thick and quite heavy in the folded state and has a gap in the middle. But, in the folded state, it’s also very small, and it’s easy to navigate the 4.6-inch cover display. The Super AMOLED cover display is responsive and like what you expect from Samsung: bright and very nice to look at. The software also felt polished despite being a pre-release version. I opened the camera on the cover display, switched to selfie mode, and then unfolded the device, and the camera app simply resized to fit the larger screen while staying in selfie mode. I also tried this with the browser, and that worked flawlessly as well. And this device is a powerhouse when it comes to multitasking. You can have three apps open at once on the 7.3-inch screen and change the arrangement of these apps by moving them around. I tested the three-app multitasking by sending a picture from the camera app to the messaging app while also having the browser open, and it all happened without any hiccups. I wished I had more time to play with the Fold, because it felt like a device straight from the future. I was quite surprised by how refined everything felt for a first-generation product, including the software that Samsung has worked on directly with Google. 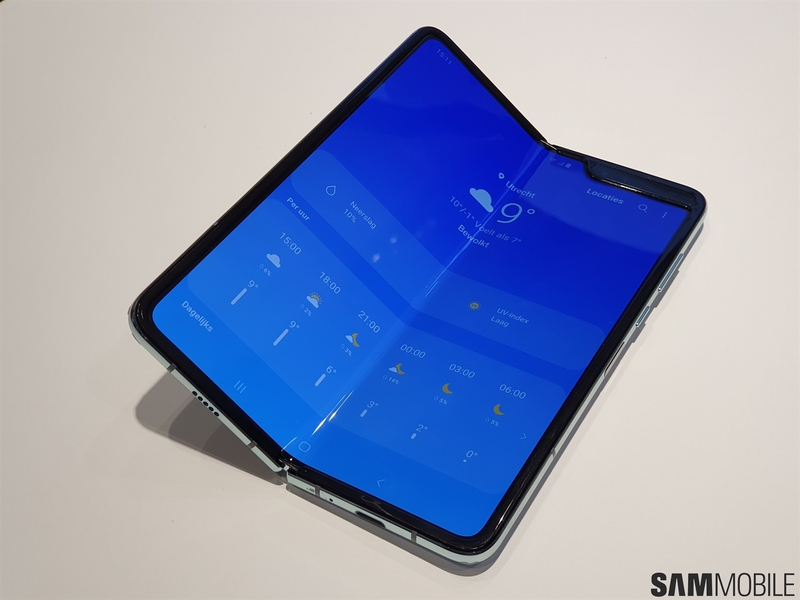 Seeing a smartphone display fold and unfold in your hands is really something else, and I feel the Galaxy Fold is totally worth the asking price. 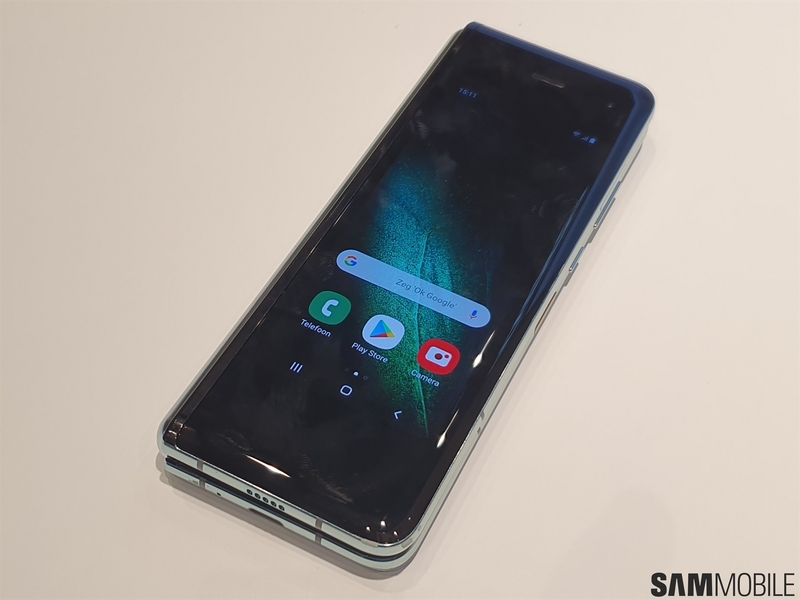 In fact, I’m regretting my decision to buy the 1TB Galaxy S10+ after my Galaxy Fold hands-on; it’s that good! Look forward to more Galaxy Fold coverage on SamMobile in the coming weeks, including a full review. I was always excited for this phone but the biggest drawback for me is the aspect ratio of both screens! It’s so wrong! If they just made it an inch wider I’d have seriously considered getting it! To each his own, right?! Perhaps the second-generation may be more to your liking? Fingers crossed! On the last GIF. What do you have on your hand ? It is Galaxy Fit ? So you have retail unit in your HQ ?